One of the areas that has special strength in terms of textile craft is NTT (East Nusa Tenggara) province, which is known for its unique weaving. The peculiarities of NTT woven make several fields such as tourism and political policy subsequently have an influence on the existence of NTT woven. These influences include changes in the function of weaving from adati to economical products, which then have an impact on material changes and methods of using weaving. The material used today is more modern by using threads that can be purchased in the market from imports from other places, while the used of weaving in ritual way has now been cut into ready-made clothes with a more modern form that sometimes produced leftover materials. Departing from these conditions, researchers develop fashion products as revitalization of NTT woven in order to fulfill the consumer needs. The NTT woven that chosen in this case is Sumba woven, because the patterns found in Sumba woven have a higher level of complexity than other NTT woven such as large living forms that are different from woven from other islands with more geometric nuances. 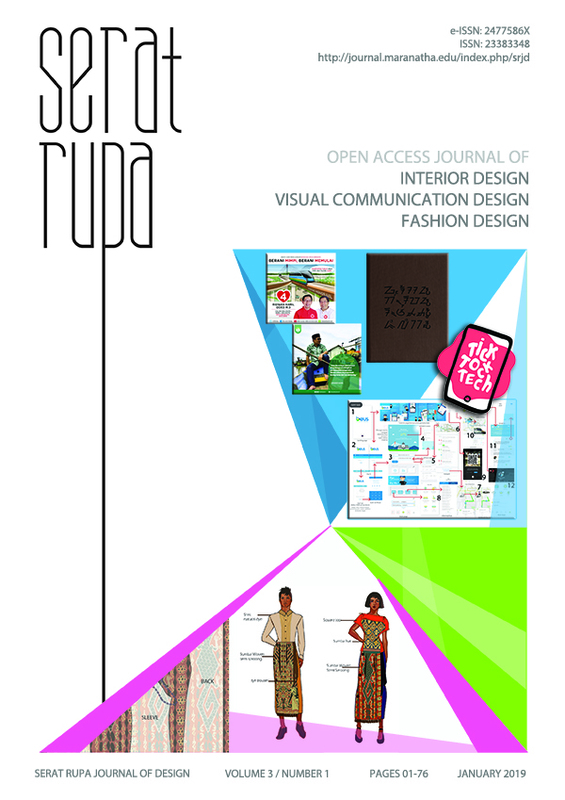 The shape and composition of the large patterns and forms associated with myths and living things have been an obstacle for designers in creating cloth from these materials.By using the descriptive qualitative method, minimalism pattern, which is popularized, by Rei Kawakubo and the market research approach then researchers create a fashion concept by optimizing the use of cloth. Hence, researchers can produce fashion product without leaving a weaving parts that has no potential to be processed into other products as well as answering the needs of the market whose has a high appreciation of the weaving process.